Behind The Thrills | Continue the SeaWorld 50th birthday celebration with a huge meet up at SeaWorld San Antonio! Continue the SeaWorld 50th birthday celebration with a huge meet up at SeaWorld San Antonio! SeaWorld is celebrating 50 years of educating, and entertaining guests with fun as big as the sea this year. The party kicked off in March, and will continue for the next year. To keep the celebration going, we are teaming up with the awesome team at The Unofficial SeaWorld Podcast to throw a huge SeaWorld Super Fan event. We will be taking you behind the scenes and giving you exclusive access to a slew of different areas, exclusive ride time and get you up close and personal with the amazing team at SeaWorld San Antonio. 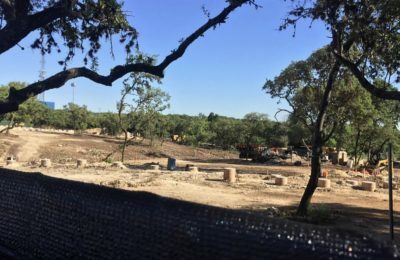 The fun starts May 24th at 9:30 a.m. at Aquatica San Antonio, where you will be given a first look at the all new Roa’s Aviary at Aquatica San Antonio. We will get to see the all new attraction, as well as interact with the 300 different birds in the aviary and speak with an Aviculturist who works with the birds on a daily basis. 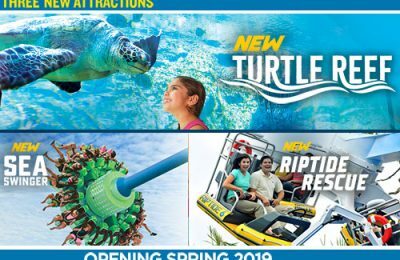 We will also get you priority seating at one of SeaWorld San Antonio’s shows, and get you time with one of the trainers of the show and a better, up close look at the animals. The cost for Superfans is just $50.00 dollars plus tax and space is very limited. 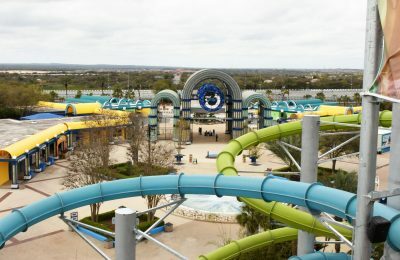 You get parking, and admission to SeaWorld San Antonio, as well as Aquatica San Antonio, with a ton of activities and surprises sprinkled in throughout the day! This is a special one of a kind event exclusively for fans of the Unofficial SeaWorld Podcast, and of course Behind The Thrills. We are so excited to help celebrate 50 years of SeaWorld with the Unofficial SeaWorld Podcast and to give you a special chance to go behind the scenes of SeaWorld San Antonio, and see not only the every day life of these amazing animals, but also all the care and interaction that the animals receive from the trainers. Even if you’re not a huge fan of SeaWorld, but love theme parks, this is a once in a lifetime opportunity to see some of the things that go on behind the scenes! Plus for a very limited time, those who purchase Super Fan Event Tickets can get a special hotel room rate right across the street. For more information and tickets, visit the official Super Fan event page by clicking here. Stay tuned for even more from SeaWorld San Antonio, and be sure to follow along with us on Twitter @BehindThrills for the latest updates!